In the spring of 1836 Francis J. McIntosh of St. Louis killed a policeman and wounded another. He would have received the death penalty in a court of law. A mob, however, tracked him to an outhouse where he was hiding and brought him to jail. Another mob gathered around the dead body of the policeman. Inflamed by the sight of the policeman “weltering in his own blood,” they stormed the jail, hauled McIntosh to the edge of town, chained him to a tree, built a fire at his feet and slowly roasted him to death. Then “a rabble of boys” took turns throwing stones at his head to see who could break it. A judge refused to allow anyone to be charged in the lynching, claiming that McIntosh was a sort of terrorist, and was the enemy, thereby justifying the mob behavior. Elijah P. Lovejoy, the editor of the St. Louis Observer, differed from the mainstream press. He believed the Constitution itself—and the order it was supposed to impose—had been torched along with McIntosh. “When the question lies between justice regularly administered or the wild vengeance of a mob then there is but one side on which the patriot and Christian can rally,” wrote Lovejoy. Lovejoy mounted a campaign against “mobology.” Before long, however, a mob, unhappy with his rant against them, ran him out of town. He set up shop upriver, but lasted only about a year before a mob destroyed his printing press and killed him as he tried to defend it. Once government institutions and politicians have undermined the Constitution to where it is a shell of its former self, the foundation is laid for the “mobocratic spirit” to arise. When the instruments of the rule of law no longer apply to a society, it descends into chaos and mob rule. When that happens it is easy to see how conservatives, fired by a religious zeal, and demanding redress of their grievances and frustrations, can fulfill the following prophecy. The predicted rise of the “rule-by-mob” mentality is now here. Whether Donald Trump becomes president or not, the “mobocratic spirit” is now out in the open and will only increase. Its focus will change and once in control of the reigns of government, it will eventually target those who obey all of God’s commandments. It was a mob, working outside of the law that came and took Jesus by night in Gethsemane. It was mob rule that overthrew law and order in France during the Revolution and destroyed all that was good and noble. It was mobs that ransacked Jewish businesses at night during the Nazi government terror. Should Christ’s true followers expect any less in the final crisis? I think this is better applied to Hillary Clinton. It is the protesters at Trump rallies who incite the violence. Often paid protesters. Paid for by Hillary backers. It is amazing to me that Larry Allen Sr. can associate the above comments with Ms. Clinton without any proof and without any association to her people. Especially since Trump people has displayed such hate and bigotry in front of cameras and Trump himself has made so many hateful statements. People have a right in this country to protest. It is like blaming black marchers who protested segregation and justifying the use of dogs and water hoses on them because they protested. What a twisted rationale. Even if it was true that people were paid – regardless of who paid them – to disturb the Trump rallies, does not give Trump the right to mistreat them. Judas was PAID to betray Christ, would it have been better if he did it for free? No. Christ followers did not harass Judas and he deserved it. I realize that we are not talking about true Christians here, but the article is correct for saying it is about Prophecy, not Politics. We are so warped nowadays, people assess evil to be good and good to be evil. We have come to the time where we are demanding evil and absurdness as if it will “fix” what is wrong with society! Only Satan could deceive us into thinking that more SIN will correct existing SIN! This should tell us how corrupt we are as a people and close to the 2nd Coming of Christ. Larry’s comment is right-on! Your ministry would be better served in staying out of politics & focus on Jesus & evangelism. Daniel is a perfect example of that. A very wise man to emulate. Thank you very much for the insight, I do agree that Trump is the next USA predicted President and let us remember the promise of our LORD stated in the book of Amos 3:7	Surely the Lord GOD will do nothing, but he revealeth his secret unto his servants the prophets. This is a very sure promise from God, l would like to support that Trump is the next president using the scriptures and history. But firstly i would like to put some principals in place lest some people are not so familiar with them. The first is found in 1 Corithians10:11	Now all these things happened unto them for ensamples: and they are written for our admonition, upon whom the ends of the world are come. So every the bible was written more for us at the end of the world than their own time. Secondly in the book of Ecclesiastes 1:9	The thing that hath been, it [is that] which shall be; and that which is done [is] that which shall be done: and [there is] no new [thing] under the sun, and as well Ecclesiates 3:15	That which hath been is now; and that which is to be hath already been; and God requireth that which is past. So all these verses are a witness to each that there is nothing new under the sun based upon the principal that history repeats itself. l dont know how far you understand Daniel 11:40 but verse 40 has 2 parts A and B, Part A was fulfilled in 1798 the time of the end for the Millerites and part B was 1989 marking the beginning of the time of the for the us the last generation. On the statue of Daniel 2 the statue represents the time from Babylon, Medo-Persia, Greece and then Rome both in its two phases Pagan and Papal Rome, and Medo-Persia being a two horned power just like USA today represented by Republicanism and Protestantism. According to my understanding of Daniel 2 when history gets to Pagan Rome on the legs, then it repeats again from the top and the top being Babylon. So in repeat Papal Rome would be Babylon and the USA would be Medo-Persia and remember both are two horned power, and UN would be Greece the one world government, and finally Modern Rome would be Pagan Rome the last kingdom until Jesus we see in the clouds of Heaven. Since we have seen that Medo-Persia is a type of USA the two horned power in the bible, lets zoom closer to see how many kings ruled in Medo-Persia so to establish the kings of the US today, remember the whole history of the bible was written for us at the end of the world and there is nothing new under the sun. Please go with me to the book of Daniel 11:2	And now will I show thee the truth. Behold, there shall stand up yet three kings in Persia; and the fourth shall be far richer than [they] all: and by his strength through his riches he shall stir up all against the realm of Grecia. Here Daniel is standing just at the beginning of the reign of Darius under the Medes and the Persians, which is 1989 for us, and God is saying there shall stand up yet three kings in PERSIA (USA) and the fourth shall be FAR RICHER than they ALL!!! BY HIS STRENGTH THROUGH HIS RICHES HE SHALL STIR UP ALL AGAINST THE REALM OF GRECIA (UN or NEW WORLD ORDER). In Medo- Persia (1)Cambyses (2)False Smerdis (3) Darius, the fourth is the richest (4) ARTAXERXES the great. In 1989 USA (1) Clinton (2) Bush the 2nd (3) Obama, and we dont have the fourth yet but we are given his description RICH, his STRENGTH and he stir ALL and led the world to GRECIA or ONE WORLD GOVERNMENT. Who the richest among the presidential candidates in the US today? Who is against everyone and wild among them today? This is the LORD’S doing brethren and sisters, God is now revealing his secrete to his people. Lets put our houses in order and prepare for His second coming. This prophecy has been kept secrete from the foundation of the world only to made known now. May the LORD help us all to prepare for the Sunday Law that is soon to come. Gift, How do you aarive at the date 1989? Admin did you happen to see my comment on this subject under discussion? l would like to hear other people’s comments so that we can edify one another as we are living just before the second coming of Christ. l really do not think its possible to stay out of politics when dealing with bible prophecy, for instance the seals in Revelation deals with political side of the history whereas Churches deals with the same period covered by the seals but on religious side. Thank you in advance for approving my comment, wanna hear your comment as well Admin. Our post was not so much about Donald Trump as it was about the mob mentality that is arising. And it is arising on both sides of the aisle. The mob mentality with all its demagoguery, fist pounding and dogmatism is profoundly prophetic as you may well know. Apparently our article was misunderstood by some. Sorry about that. We’re not perfect. I think I’ll have to publish something in the near future about the mob mentality on the left as well. And I agree that some of the mob behavior surrounding Trump is coming from the left in an effort to discredit him. But mob behavior on either side, is as reprehensible as it is prophetic. There are good things about Trump and like most candidates, there would be some good that he will do for the country. However, our focus in our review of readily available news articles is not the merits of the candidate. Our focus is on the prophetic stuff that is happening in the world, which often impinges on politics. I could have perhaps addressed it a little differently. I’m neither left nor right. My passion is prophecy. Perhaps I should have put a disclaimer in the article to that effect. It has been very interesting to see the reactions as I have worked on these prophetic briefings and our monthly messages over the years. When I exposed GW Bush and his abridgment of the US constitution after 9/11, I was slammed by the conservatives. When I exposed Obama for his abuse of the constitution, I was slammed by the liberals. Now we’re back to the conservatives again at least for the time being. To my mind, many people are not focused on prophecy, they are focused on their favorite political candidate and often miss the prophetic issue hiding in plain sight. I met you at my church (Killeen,TX) again at the GC. Talked about the book I sent you too. You are keeping those who crave truth digging and that is exactly what we need! Time is short and now is time to prepare! God bless you and yours, Sir! Hi, I did read all comments and I´d just like to say that I live in a country where the mob mentality has been the living style for the last ten years and is escalating day after day. The mob´s actions in the States are nothing compared to the ones over here. Mario, can we kow in what country do you are living? Thanks. God bless you. 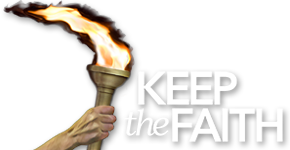 My Dear Brother from keep the faith ministries, Since Abe Lincoln was not a prophet nor ever claimed to be, there is no way he could have known about Donald Trump. Please show me in Abe Lincoln’s writings where he warned anyone about the rise of D. Trump. 2 Peter 2:1 says “there shall be false teachers among you….and bringing upon themselves swift destruction. I am willing to forgive you for your misleading comments. Now pray God that he will forgive you as well. Repent and God will forgive you. Pastor Mayer did not make the statement. He is quoting a news article that said it, and which illustrates the rising mob mentality (which, incidentally, is rising on both sides of the political aisle), which is very prophetic. Abe Lincoln did not mention Donald Trump by name, and no one is claiming that he did. Abe Lincoln predicted the replacement of the US Constitution and the rule of law with the rule of the mob, which was the point of the article from a rather credible news source. Perhaps you should go back and read it again with that in mind. And please refrain from judgmental remarks on this website in future if you wish to see them posted. Admin. In reference to “Abe Lincoln Warned About the Rise of Donald Trump” as your lead title for your recycled non-original mobocratic article, I must add. At the Republican National Convention of June 1912 there were fist fights and mob activity that would make a Trump rally look like the Boys Scouts arguing over merit badges. Why not mention or reference the rise of mob activity over 100 years ago at the Republican National Convention and so many others before Trump? BPS. Thanks for your relevant comment. The mission of our Prophetic Intelligence Briefings is to summarize current news items and link them with prophecy. We are glad to include previous events as additional context when they are readily available. But we do not have time to do research for the short briefings. Research is reserved for our sermons, which often go into much historical depth. If Trump becomes president, we will certainly do an in depth and researched study on him and the relevant historical context. But that remains to be seen. If you are listening to our sermons, you’ll see what we mean. Obama Administration is the one that has promoted mobbery, thuggery, riots and burning! This is the legacy of the democrats. Trump has said hateful things in response to hate … Not right but he has. Trump mrecognizes his supporters are just tired of being run over and stomped on! And in reviewing American History, we see this is how American Constitution came to be. In righting the wrongs, conservatives will go too far, according to prophecy. Putting aside your views on Donald Trump & subsequently his supporters i.e. this apparent phenomenon called “Trumpism” (for the record, I’m Australian)… I am curious by your statement pertaining to “Trumpism” being “global”, in particular the statement pertaining to European “middle class families” (i.e. “especially Poland, France and Hungary”) having “similar attitudes about immigrants”. Could you please clarify exactly what you are referring to in relation to the “attitudes” of these “middle class families” within Europe. Meaning i.e. what type of attitude & whom these “attitudes” are directed at (specifically). I did also read the cited article you referenced with this statement (i.e. “See our briefing: Trumpism is not Just and American Phenomenon”)… where words like “racist”, “racism”, “xenophobia” was cited. Yet wanted to hear more specific detail (i.e. your views) on this apparent (“Trumpism”) attitude within European “middle class families”.